Dress up your fireplace with art deco style! 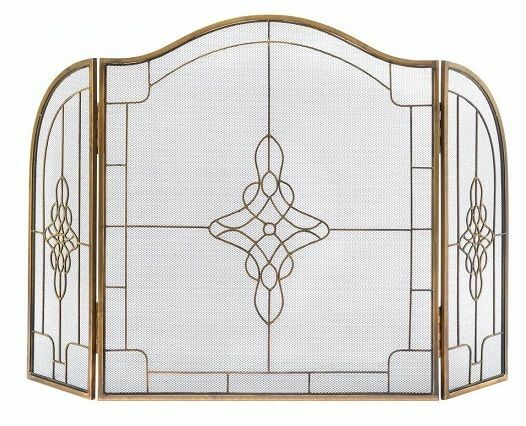 This beautiful iron fireplace screen features art deco touches, including a beautiful central design surrounded by a geometric border. The three-piece framework makes it easy to fit to your space. Dimensions: 29.5" x 10" x 33.5"